The Rio de Janeiro administration developed the 2016 Strategic Plan to ensure the good use of foreign investments coming to the city and to improve its governance. 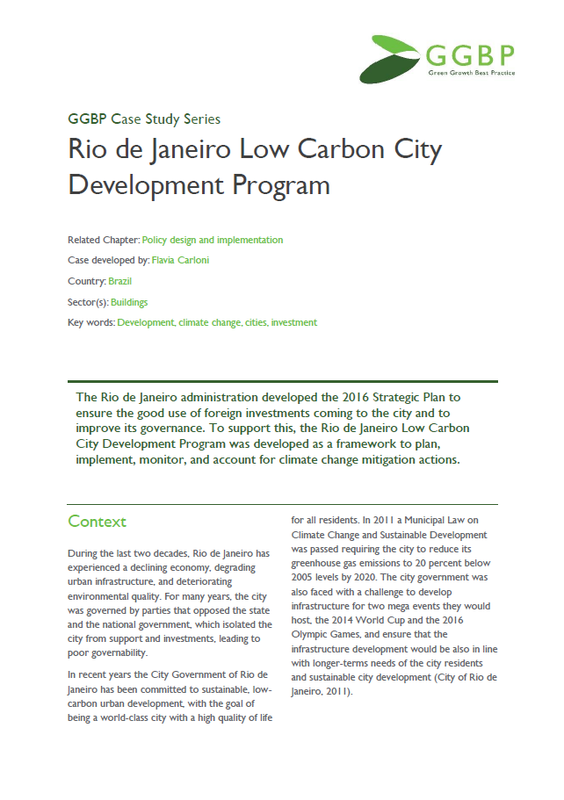 To support this, the Rio de Janeiro Low Carbon City Development Program was developed as a framework to plan, implement, monitor, and account for climate change mitigation actions. Launched in 2012, the Jiha Tinou ("my region") program seeks to optimise the capacity of local actors to contribute to national energy goals and to benefit through local development. It aims to put citizens and local officials at the heart of the dynamics of change.